Would you like to give the look of your Leatherhead kitchen a lift? 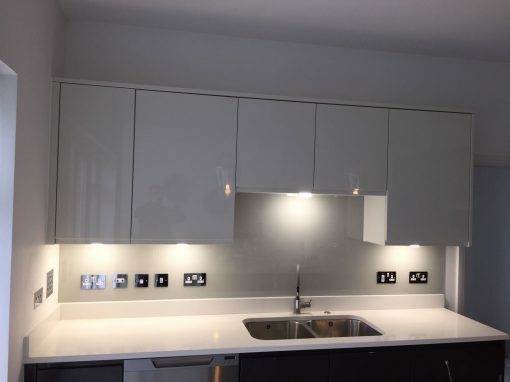 There are many fabulous kitchen splashbacks available which, when installed, can provide a beautiful design feature visually lifting the kitchen decor in a Leatherhead home. The popularity of glass kitchen splashbacks has risen dramatically over recent years. 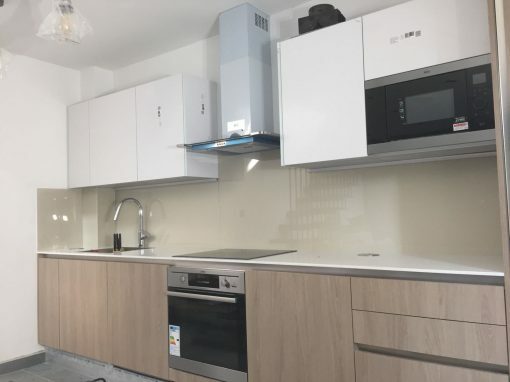 Where once tiles were the covering of choice to protect the wall behind the hob or to place between the wall units and worktops, now glass kitchen splashbacks have become an integral design feature for the contemporary Leatherhead kitchen. As well as creating a beautiful, gleaming backdrop on the wall, glass kitchen splashbacks are practical being an easy to clean surface. Simply wipe away grease and spills, without any of the difficulty of maintaining the cleanliness and colour of grout around traditional tiles. 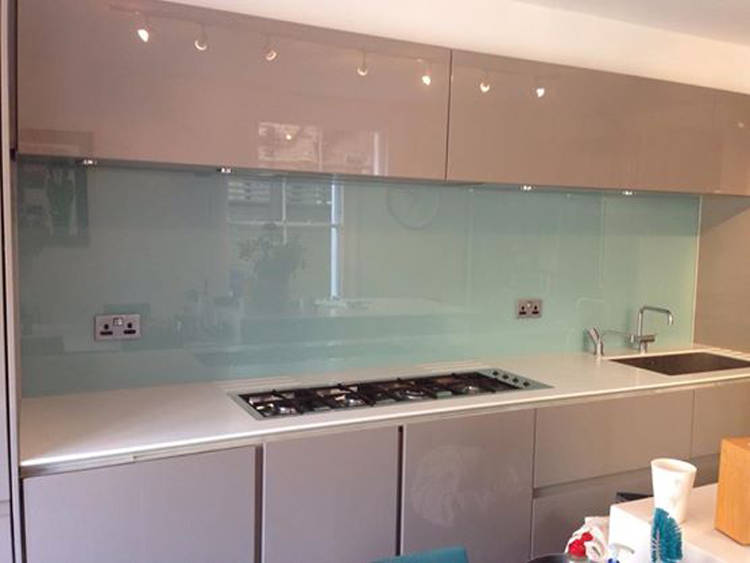 Whatever the style of the kitchen in your Leatherhead house, Southern Toughening Glazing Ltd can provide kitchen splashbacks in the colour of your choosing, either seamlessly blending into your Leatherhead kitchen or standing out to create a striking design feature. 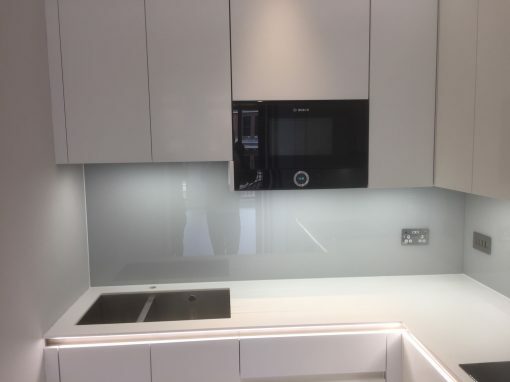 Glass kitchen splashbacks are easy to fit and can be created with cut outs for plug sockets, shelves or screw holes. 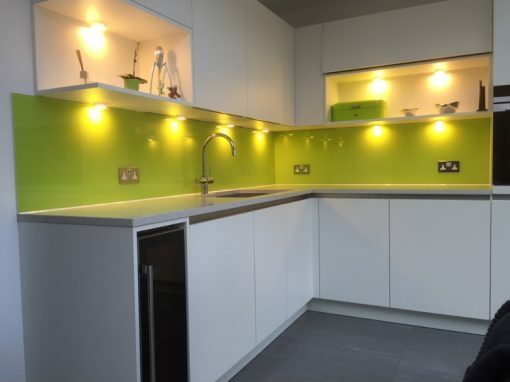 Give us a call today and allow Southern Toughening Glazing Ltd to meet all your requirements for the coloured glass kitchen splashback that will give your Leatherhead kitchen the wow factor.